It is normal for rescue dogs to experience stress when something changes: home, home life, family composition, food or schedules and routines. Stress also can come from environmental conditions or happy events, when emotions can become exuberant. Stress can trigger health problems as well as behavioral issues. To reduce stress, it is important to make his life as calm, consistent and predictable as possible. 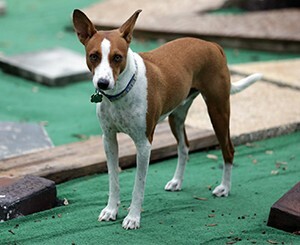 Many health problems could be caused by your Basenji being over or under his healthy weight. 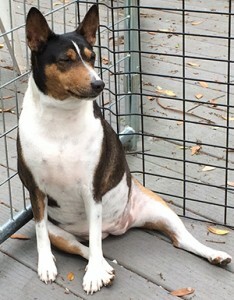 Overweight Basenjis can develop mobility issues or serious problems like diabetes. Underweight Basenjis have no reserves to draw on if they get sick. And abnormal weight on both sides of the scale could indicate serious, underlying health problems. Thyroid disease is increasingly common among canines. 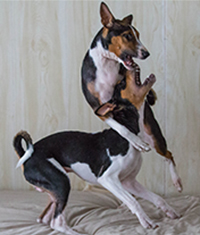 Basenjis, too, can develop hypothyroidism (underactive or low functioning thyroid glands). If you observe changes in your dog’s behavior—lethargy, irritability or aggression, deteriorating skin or coat conditions, weight gain (absent a change in diet and exercise)—there is a chance that your dog is hypothyroid. If your dog suffers any of these symptoms, have him tested for the condition. Properly diagnosed, hypothyroidism is easily treated. Intestinal issues warrant careful attention because they can indicate various problems ranging from simple stomach upset to something much more serious, such as worms. Stress can cause significant intestinal upset. Consult your vet if your dog experiences intestinal issues that last more than a day or two. Your dog can become dehydrated or plugged up: both pose serious health consequences. 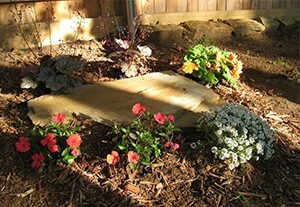 Dogs, like people, can be allergic to environmental elements as well as foods and medications. The most common allergy symptoms are red skin and rashes, diarrhea, sneezing, wheezing, coughing, ear infections, watery eyes, lethargy, paw licking, poor coat quality and irritability. Recognizing and addressing allergies quickly will help maintain the good health and happiness of your special pal. 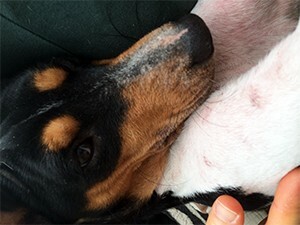 Skin conditions are often early warnings of underlying health problems afflicting your dog. 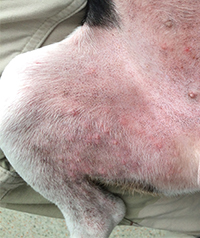 Skin irritation, licking and scratching can be indicators of many issues, including fleas, allergies, mange, or stress. 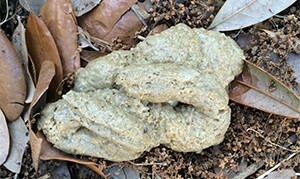 You can help your vet diagnose the problem by providing him information regarding when you first noticed the condition as well as about your dog’s lifestyle, food, and environment. The most common breed-related mobility issues experienced by Basenjis stem from damaged discs, hip dysplasia and patellar luxation. As dogs age they also experience the same problems that we humans suffer: arthritis, joint stiffness, weakness and lack of flexibility. 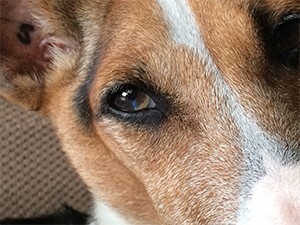 Several eye conditions—some inherited—can affect Basenjis. These conditions include: Coloboma, Corneal Dystrophy, Persistent Pupillary Membrane (PPM) and Progressive Retinal Atrophy (PRA). Basenjis typically adjust to impaired vision—even blindness. But make sure an eye exam is included as part of your initial vet visit and as part of annual wellness exams. Early detection permits early treatment. The normal life span of the Basenji is 13 to 15 years. Some dogs, however, have been known to live as long as 18 years. Because our companion’s life is shorter than ours, we must care for him as he grows old; we must endure his loss; and we must attend to the difficult issues that accompany both. Disclaimer: We are not veterinarians or certified professional behaviorists. The information presented here is not meant to replace your vet’s advice or prescribed medications, or a certified behaviorist’s assistance, but only to suggest additional options to explore, based on your dog’s needs.